Mixing organs, guitar and pedal steel definitely provides the aural hallucinogenic for this band. The songs sound like they’re from another era. And it works. 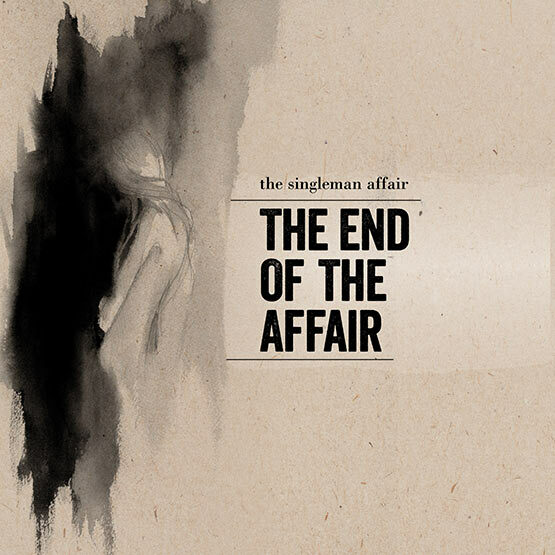 The End of the Affair is trippy and expansive and a multi-patterned musical trip. Singer/songwriter Daniel Schneider’s vocals swing from eerie to lovely to brash. Adam Vida [drums], Gary Pyskacek [guitar and pedal steel], Jacob Smith [organ] and Sam Wagster [bass] round out the line-up. The first track on this new album “Be This Way” with its elaborate organ arrangement and audacious vocals screams Britpop while the song “Gray Hairs” veers toward 70s psychedelic rock. “I am a Vagabond” is all folky and melodramatic. Super cool guitar riffs on “I Don’t Want to Go Back.” The orchestrations on “I Know a Witch” effectively and beautifully utilizes darker Chelsea Wolfe-type melodies. This could be an excellent live band. Also just cool for chilling out. This entry was posted on June 16, 2015, 22:34 and is filed under Music. You can follow any responses to this entry through RSS 2.0. Both comments and pings are currently closed.